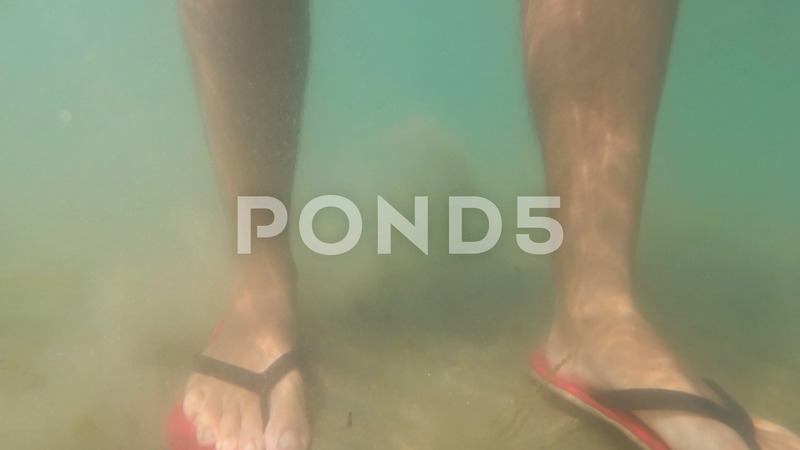 Underwater Shot Of Feet Walking On Sandy Ocean Beach. Description: Underwater shot of feet walking on sandy ocean beach. The camera moves under the water.